"Untitled no. 1" by Cameron Shafii, Ben Chaykin, and Alex Boeschenstein. LED Light Tubes, Monitors, Speakers & Latex Paint. Runtime: 22:51. Corridor Festival, Seattle, February, 2018. 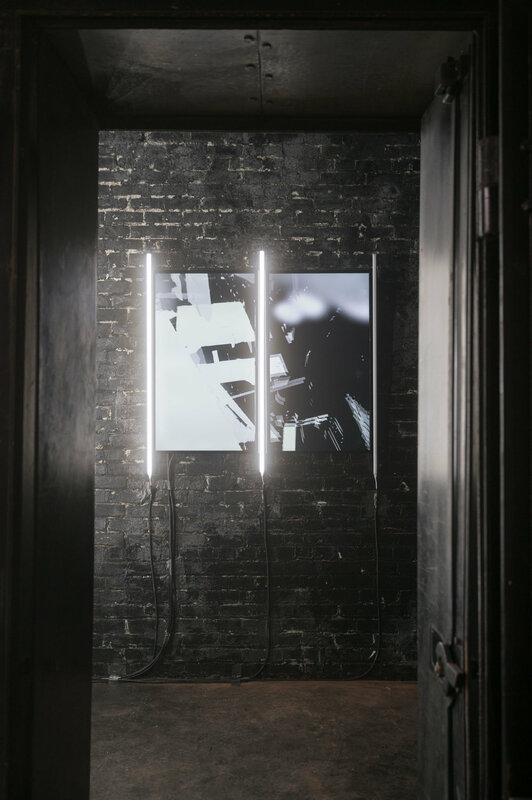 The work was displayed in the vault of an abandoned printmaking factory and comprised of generative light displays that reacted to the movements of a two-channel video and an elaborate sound design. Sample of "Untitled no. 1"